Flamethrower-Wielding Charlottesville Counterprotester Arrested and ChargedHe’s the second counterprotester to be arrested. Video Emerges of Man Firing Shot Near Protester at Charlottesville RallyHe is reportedly now in custody. 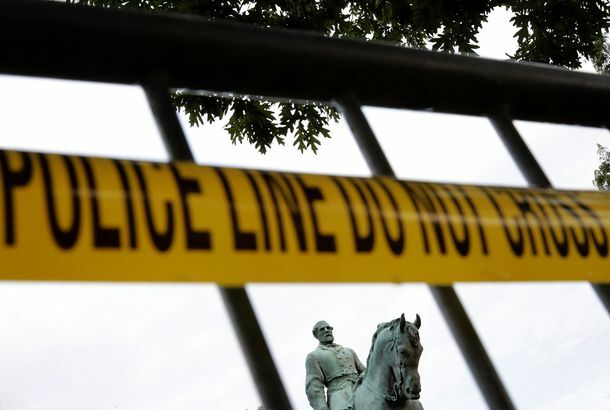 Local Officials Call for Confederate Memorial Removals Post-CharlottesvilleAfter violence at a white nationalist rally in Charlottesville, more cities have announced plans to remove Confederate memorials. Attorney General Jeff Sessions Calls Charlottesville Murder ‘Domestic Terrorism’A far stronger response than the president has mustered.